Thank you for your interest in the “Electronic Bill Presentment & Payment” industry and Striata. For the past six years, billers and banks have been on a path to convert their customer communication from paper, branch & telephone interaction to internet self service. These efforts have met with only limited success and adoption in some verticals is as low as 5%. In fact, in almost all industries & market verticals, adoption to online varies from less than 2% to only 15% of customers. 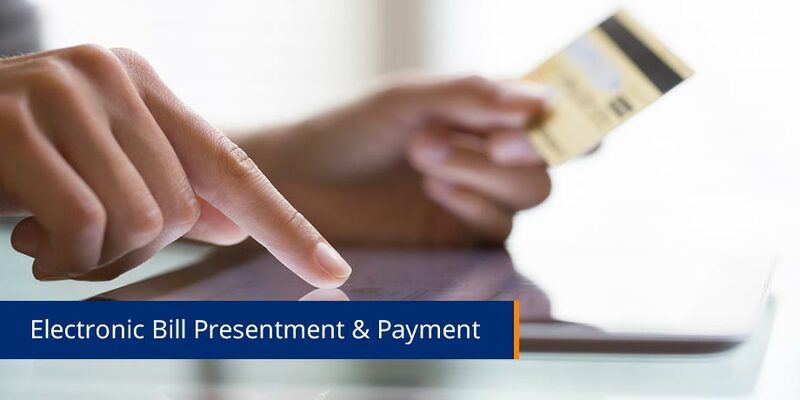 Marketers have and are struggling with a variety of ways to entice customers to register and use online Electronic Bill Presentment & Payment (EBPP) websites. Paper suppression results are even less impressive. So why have the vast majority of Americans not embraced these offerings? Our opinion ~ it’s just not yet convenient enough. Then came the era of e-mail. These days, three of the four mail types have made their way directly into your inbox. The one type that is conspicuously missing are your bills. Now why is that? There is no clear answer that we can come to. We can only guess that it was easier for the biller to try and ‘pull’ you to his website than to electronically deliver you your bill. Billers now have access to efficient systems & technology that securely deliver your bill, and take payment, directly from within your inbox. The difference from a customer’s perspective is dramatic: two clicks to view and pay your bill, versus a minimum of 7 clicks (up to 24 in some cases), to do so online. Note ~ The benefits of online self service are still realized by adding relevant internet links to the appropriate location on the email bill. E-mail has become the ubiquitous business and personal communication medium. Significantly improved anti-spam and antivirus tools are going a long way to ensuring that unwanted and malicious emails are kept out of your inbox. Such advances will and are cleaning up email, thus ensuring that it remains a critical part of every day life. There are several advantages to a corporation in pushing sensitive information to a customer rather than having them go pull the information (from a website), and one of the biggest advantages, is that it’s the preference of the customer. Our take on the future of electronic billing: There is no logical nor practical reason why your bills are not in your inbox, and it is only a matter of time before they are. Billers are going to combine both ‘push’ and ‘pull’ Electronic Bill Presentment and Payment strategies to ensure maximum customer adoption. Imagine getting all your bills directly into your inbox and having a folder that you just drag them into, to pay later at your convenience. Imagine that paying each bill took less than 30 seconds. Now that’s delivering convenience to your customers.